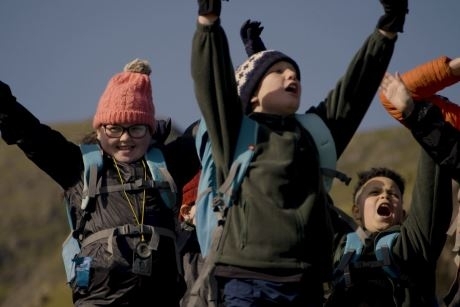 The Youth Hostel Association (YHA) has revealed its new campaign, The Adventure Effect, which aims to get more young people experiencing the benefits of the outdoors. According to the charity organisation, outdoor adventures are the key to happier, healthier and more confident children, however, only around 1 in 5 of them regularly play outside. The charity says that the opportunity to have adventures in the outdoors is vitally important to developing young people’s confidence, resilience and ambition for the future. To help more young people benefit from the transformational power of travel and adventure, YHA has launched a new campaign, The Adventure Effect, in the hope to inspire young people to get outdoors. The campaign will promote the outdoors as an important part of childhood development and aims to reach teachers and parents in order to encourage the younger generation. As part of the campaign, YHA ran an experiment using professional adventurer and author Alistair Humphreys. During the experiment, Humphreys was confined to a room for three days and documented how he was feeling throughout. Humphreys reported feeling increased frustration and unhappiness at having the opportunity for adventure removed from him and said that by day two he was ‘feeling low’. James Blake, chief executive of YHA (England and Wales) said: “YHA has been around for nearly 90 years providing travel and adventure for young people. While times have changed, the transformative effect of adventure is as relevant today as it was in the 1930s. 1. Don’t just talk about it. Do it. 2. Do something simple and small, like going for a walk in your local woods or head up a hill. 3. Take friends or family with you so you can share the experience and encourage each other. 4. Making the most of the outdoors shouldn’t be about pushing yourself and feeling miserable. 5. Go at your own pace and have fun. For more information, visit www.yha.org.